The need to manage multiple iOS devices is a common occurrence when family members share the same Apple ID. Sharing an Apple ID on all devices in a family will ensure everyone has access to all the items purchased on iTunes or the App Store. While this works great for sharing purchased items, it can lead to problems by sharing Contacts, Calendars, Messages, and FaceTime. 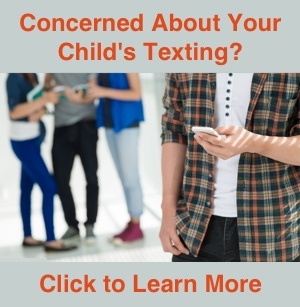 If you just purchased an Apple device (iPhone, iPad, or iPod touch) for a family member and set it up using your Apple ID, you may have noticed your contacts were automatically copied to the new device. 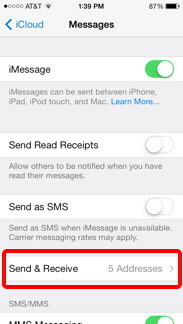 Additionally, the new device will receive your iMessages. 2. Personal data (Contacts, Calendars, Notes, Messages, FaceTime…). The ultimate goal is to use a single (shared) Apple ID on all devices for purchased items and separate (individual) Apple IDs to manage personal data. This means you will need to setup individual Apple IDs for everyone in the family. Before we proceed with the step-by-step guide, make sure you have all the Apple IDs setup and know the passwords. 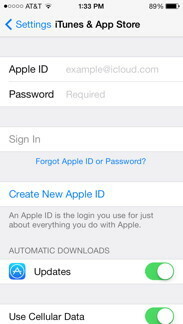 You can register new Apple IDs from iTunes on your computer or directly on your iPhone. You can also go to https://appleid.apple.com to create an Apple ID. If you have existing Apple IDs, you may have some decisions to make regarding which Apple ID to use as the shared ID. This will depend on what purchases have been made on each ID. Apple does not let you merge Apple IDs, so it can get cumbersome if you have many purchases on separate IDs. To share the purchases made on iTunes and the App Store with multiple family members, we will log in to iTunes using the shared Apple ID. 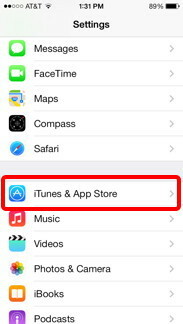 On each device, open the Settings App and select iTunes & App Stores. Enter the shared Apple ID and password. If a different Apple ID is currently being used, you will need to sign out of the existing Apple ID before entering the new one. To avoid all downloads going to all your devices, turn off Automatic Downloads. 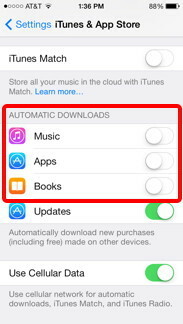 When enabled, items will be automatically downloaded to the device whenever music, apps, or books are purchased from any device using the shared Apple ID. 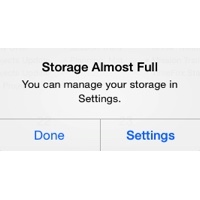 Now we turn our attention to keeping everyone’s personal data separate. To accomplish this, you will setup iCloud, Messages, and FaceTime on each device with the individual Apple ID for that family member. On each device, open the Settings App and select iCloud. 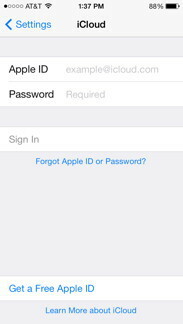 If iCloud was not originally setup on the device, sign in to iCloud using the individual Apple ID. If the family Apple ID is shown in the iCloud Settings, you need to sign out of the family Apple ID and sign in with the individual Apple ID. Scroll to the bottom of the iCloud settings and select Sign Out. When you sign out of the existing Apple ID, the device will ask if you want to keep the iCloud data on the device or delete it. If you want to transfer the existing iCloud data (such as Contacts and Calendars) from the device to the new Apple ID iCloud account, select the option to leave the data on the device when signing out of iCloud. When you sign in with the new Apple ID, select the option to merge the data to iCloud. This will copy all the iCloud data from the device to the new Apple ID iCloud account. 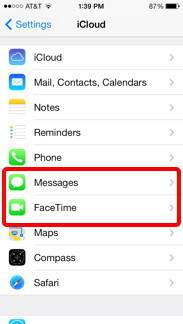 In the Settings App, you will also want to make sure Messages and FaceTime are setup to use the individual Apple ID. 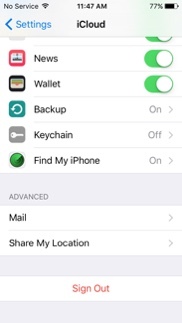 The default is for iMessage and FaceTime to use the Apple ID you entered when setting up the device, so you will need to change it to avoid having messages go to all devices. 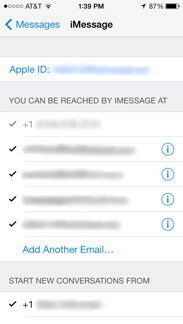 Change the Apple ID for Messages under the Send & Receive settings. Tap the Apple ID and select Sign Out in the window that appears. You can then sign in using a new Apple ID. 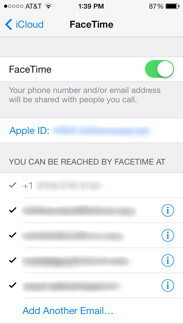 Change the Apple ID for FaceTime by tapping the Apple ID in the FaceTime settings and selecting Sign Out in the window that appears. You can then sign in with a new Apple ID. The devices should now be setup to share purchased items and to keep your personal data separate from other family members.